Tony Montana. A Cuban refugee arriving in Miami with nothing. A man who had to work from the very bottom doing absolutely anything necessary to move up in the world. A man that embraces the blood on his hands rather than wash it off with guilt or shame. He earned everything he has now because of that blood. Tony Montana. The world is yours. I have watched a whole lot of films over the course of my 31 plus years on this planet but until now Scarface was not one of them. I don't really have an explanation as to why not. I recall as an adolescent being a bit turned off by the idea that the story of Tony Montana was being embraced as if it was a glorification of such behavior, that his life was something to strive for rather than a cautionary tale of any kind. So many put the poster on their walls and looked up to Tony as an idol, as if he was a representation of anyone with any background being capable of finding their own american dream. 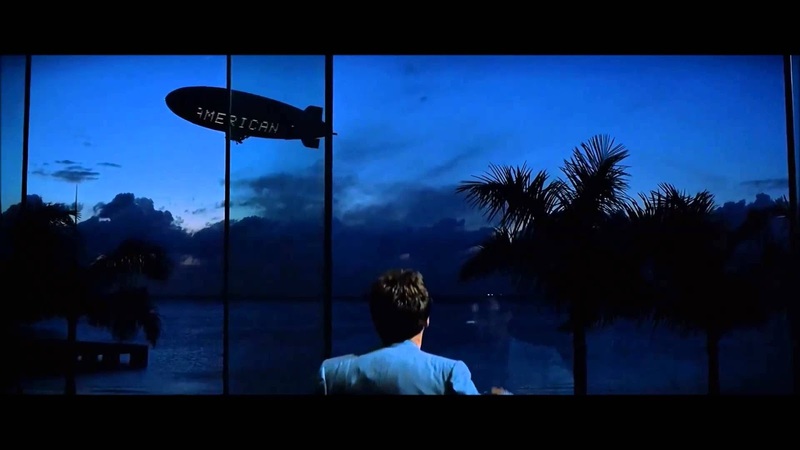 With optimistic but not through the roof expectations, I sat down and decided to finally absorb the vision of director Brian De Palma and writer Oliver Stone, and what I watched was nothing I could have expected regarding my concerns over themes and the portrayal of the character of Tony Montana. 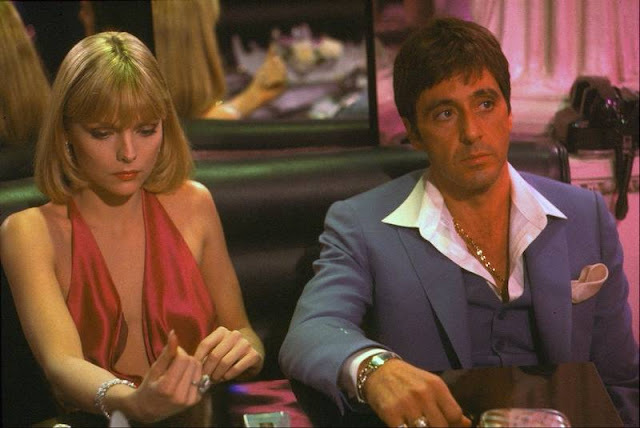 Scarface is a brilliant piece of cinema, one with a lot to say regarding immorality and excess and materialism and the repercussions of striving for so much wealth and power. We see the words multiple times throughout the picture: the world is yours. The story of Tony Montana is about what happens when you try to own the world. The script is wonderful, a sea of foul language and hilariously vulgar yet clever lines that are absurdly quotable. The performance of Al Pacino as Montana is so richly over-the-top that it somehow transcends silly and actually works perfectly for the material. What really won me over and practically had me drooling was the ingenious direction by De Palma, who ditches a traditional and static camera for one that smoothly and beautiful flows through rooms, from outdoors to indoors, from characters to security cameras and back to where it started with such patience and ease. I knew the violence was coming. I knew Pacino would spout the iconic "say hello to my little friend" line eventually. I didn't know the craft of Scarface would be so sublime. Tony Montana. A Cuban refugee arriving in Miami with nothing. A man who found himself at the top yet he was never satisfied. A man with blood on his hands that cannot be washed off. The blood of even those who remained fiercely loyal to him from the beginning. A man who fell just as quickly as he rose, and the impact on the way down is a lot harder. Name a film, I will watch it and review it!